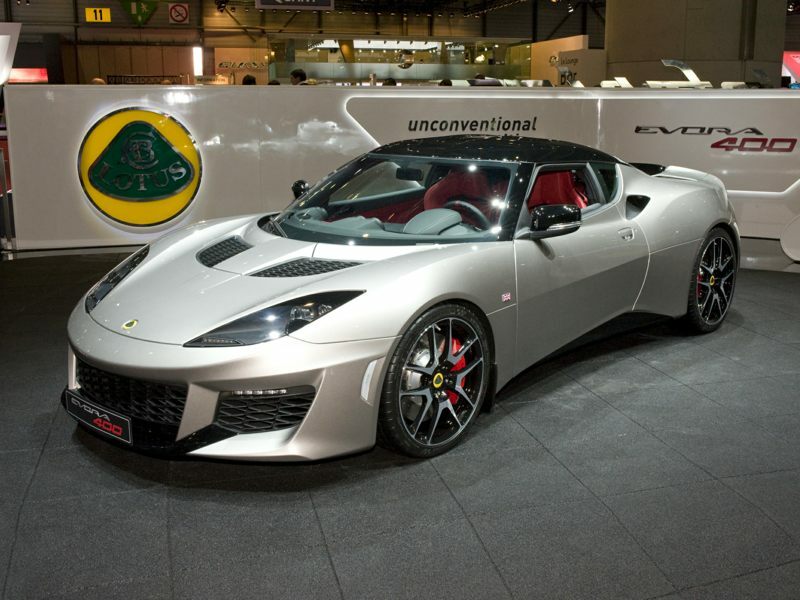 The 2018 Lotus Evora 400 is a 2-door, 4-seat Coupe, available in 1 , the Base. Upon introduction, the $94,900 Base is equipped with a standard 3.5L, 6-cylinder, engine that achieves 20.8-mpg in the city and 38.7-mpg on the highway. a Manual transmission is standard. When Lotus founder Colin Chapman built his first car back in 1948, he certainly had no idea that its descendants would end up highlighting our new Lotus pictures. The English engineer was more interested in designing cars for performance than for posterity, and he relied on a laser-like focus on lightweight construction to achieve his goal—on the motorsports world’s biggest stage. From 1963 through 1978, Lotus captured seven constructor’s championships and six driving titles in Formula 1 racing, winning with legends like Jim Clark, Emerson Fittipaldi and the last American to earn the F1 driving championship, Mario Andretti. At the same time, Lotus production models had evolved into striking machines like the Lotus Europa and Lotus Esprit, with the latter helping to introduce Giorgetto Giugiaro’s highly influential “folded paper” approach to super-car design. But Lotus was itself struck by a series of financial problems in the early 1980s, eventually getting sucked into the DeLorean scandal and beginning a long period of ups and downs—and outside ownership by the likes of Toyota and GM—and is currently controlled by Malaysian automaker Proton. Through it all, however, the company has managed to continue producing some of the world’s most sought-after sports cars, including the ones featured in our new Lotus pictures.